Depression is a state of mind which may have an Ill effect on the mind and body. There are many steps one can take to overcome depression but there is not a single factor that can cure the symptoms in fact it takes a lot of Will power and a little tweak in the physical environment that can act as a catalyst along with maybe some medicine, good friends and many other factors. 300 million people across the globe suffer from depression, whilst most psychiatrists suggest to exercise, consume sunlight and enjoy nature to overcome the symptoms, there are small steps you can take within your house that can help you feel more positive and less depressed. There are many products available on health2delivery that may also be helpful. Where is the place you spend most of your time? Your bedroom right! A bedroom is a space where anybody can spend most of his time, so it’s ornamentation is really important. Have you ever heard of FengShui? If your room makes you unhappy it is worth a study it teaches you how to place object in your room to increase positivity and what colours to use. If you are a victim of depression decorate your bedroom aesthetically, colours and lights are remarkable resources to cope with anxiety. 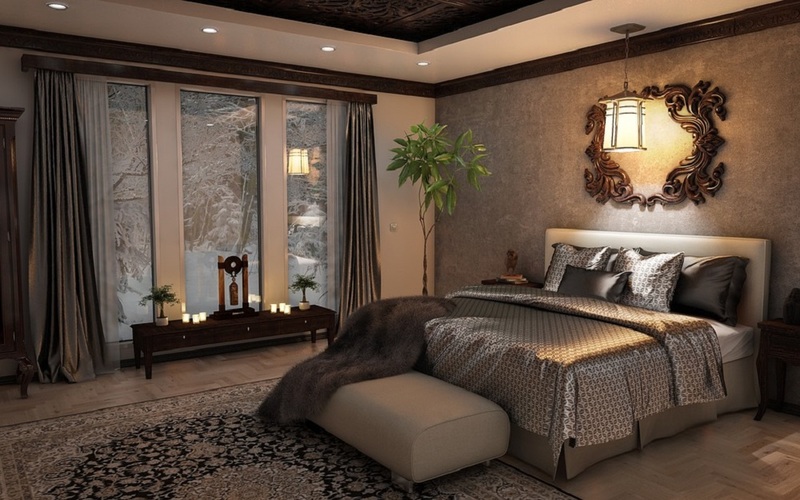 Here are some tips you can apply in the decor of your bedroom to de-stress your mind. Physical environment plays a vital role in the wellness of mind and body of a depressed person. Make sure your room has sufficient natural sunlight. Studies show that patients feel less stressed and more hopeful in sunlight, if somehow your room couldn’t get enough sunlight then artificial lights can also work. Pick your bedroom walls colour wisely. Go for the colours which leaves a soothing and refreshing impact on the mood. Choose blue, green, yellow or white colours for your bed covers pillows and cushions. Research shows that blue is a calm colour which assists to make the mood cheerful. Keep your room clutter free. A room with loads of things produces a suffocating environment. Don’t over decorate the room . Organise your shelves as mess give a stressful effect. Adore your room with fresh and colourful flowers. Flowers are a symbol of life, happiness and contentment. A study proves that smelling of lavender leaves a calming and cheerful impact on a patient, so make sure that you have a sufficient supply of lavenders. Plants make the eyes cool and revitalising. House plants are proved to be therapeutic for the depressed folks. Gardening itself is an exuberant hobby plus it helps in repairing the bad mood and poor mental health. Summing up all, there are several other factors which can help in building your mental health positively, like a Well-Lighted, open room. But if you have severe conditions you have to consult doctor for a proper medication along with approposed remedies.